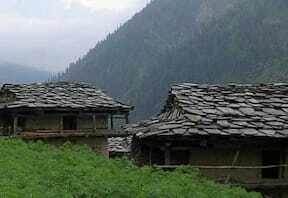 Manali is among the best known places in Himachal Pradesh, and draws tourists in large numbers throughout the year. 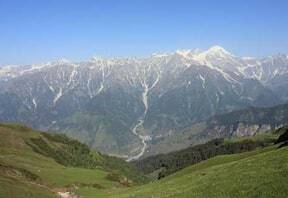 Owing to the high altitude and mountainous terrain, trekking in Manali plays an important role in making it a famous tourist destination. 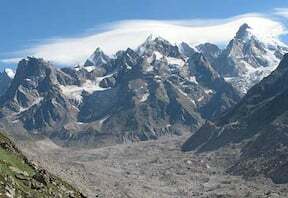 The town acts as a base and commencement point of several famous hikes, which take tourists deep into the Himalayas. A good road connectivity to the entire country and proximity to domestic airports make it easily accessible for people. 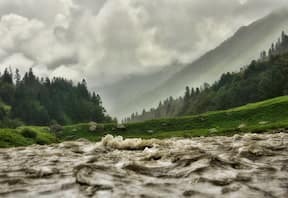 • Location and Geography: Manali is located in the valley of the Beas River, and lies at an approximate elevation of 6725 feet above sea level. The banks of the river are rocky, and along the stream on both sides are mountains. • Weather: Climate here is classified as Sub-Tropical Highland, as the town lies at a moderate altitude within the Tropical Zone. Summers are cool with average highs of 25 degree Celsius, and mean lows of 12 degrees. Winters get freezing cold, and the place receives good amounts of precipitation in the form of snow between November and February. 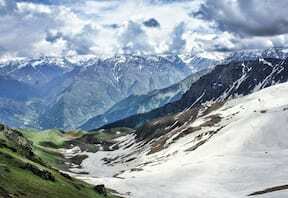 • Introduction: There are many trekking expeditions conducted in Manali, and the one taking you to Hampta Pass is well-known and highly admired by participants. 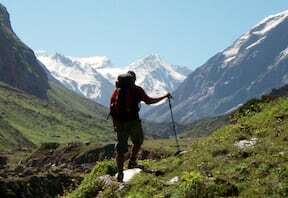 You will walk for five days, covering a total distance of around 26 km. Although you will feel tired after climbing and descending about 5 km per day, the views you will get will make you forget about the fatigue. 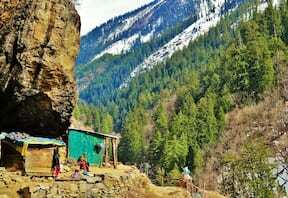 • Route: Beginning from Manali, you will travel to the enchanting valley of Chikka, where you will camp at night. 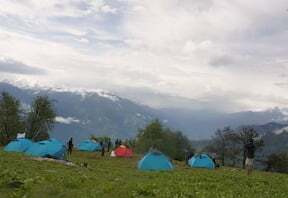 Flat lands, lined with towering mountains, make perfect spots to set-up tents. 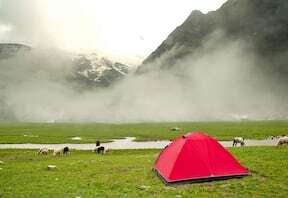 You will make for Bhalu Ka Ghera the next morning, and camp here at the night. 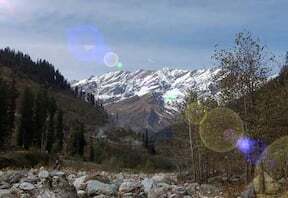 It is another picturesque valley, surrounded by mountains. 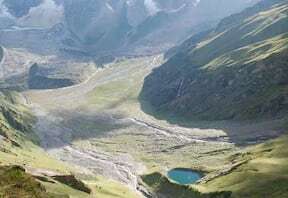 The walk through the pass will take you to Sia Goru, which is in the Buddhism-influenced district of Lahaul and Spiti. 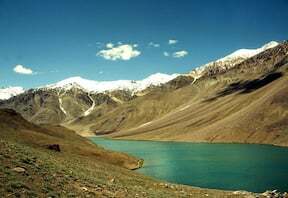 Next, you travel to the hamlet of Chatru, and later to the famous glacial lake called Chandratal. All along your journey, your eyes will gaze at wonderful scenery, which you should not forget capturing in photographs. 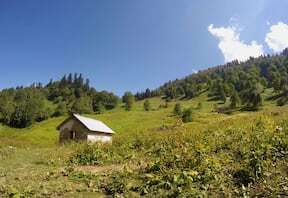 Some other popular treks around Manali are Bhrigu Lake, Beas Kund, Malana-Chanderkhani Pass, Patalsu Peak, Tosh Valley Animal Pass, Bara Bhangal, Bhubu Pass, Pin Parvati Pass, Deo Tibba Base Trek and Chandratal Lake Trek. 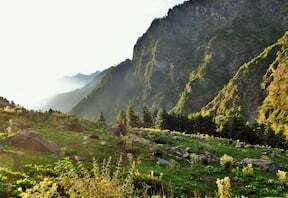 • Vegetation: The vegetation that you will come across while trekking in Manali is typical of the Himalayas, and is governed by altitude. The dominant tree here is deodar, which exists together with broadleaved species like sal, oak, fig, walnut and poplar. On the way to Chikka, you will find trees like picea smithiana, abies pindrow, cedrus deodara and oak. 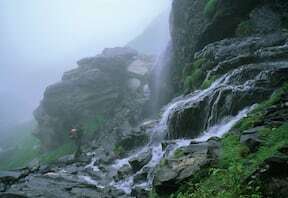 Bhalu Ka Ghera has a lush growth of rhododendron bushes along with velvet-like grass. Colourful wild flowers wait for you on Hampta Pass. • Animals: Bhalu Ka Ghera is said to be the grazing grounds of brown bears, who descend there from higher elevation in summers after completing their hibernation. Even at high elevations, strong-chested birds like vultures build their nests, and you may do some birdwatching while trekking in Manali. 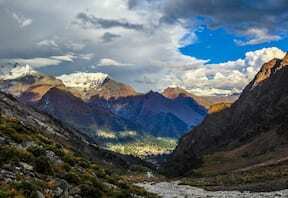 You may also get a chance to spot numerous species of deer and cats, along with sheep, wild dogs and snow leopards. © 2018 Adventure & Nature Network Pvt. Ltd.